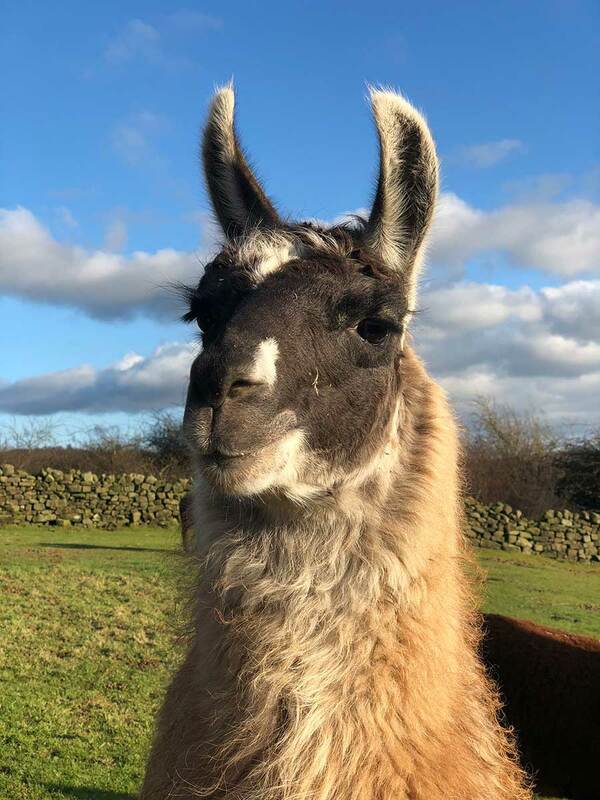 Jamie doesn’t like to give much away, he is a fairly confident chap and has done very well in his training to become a new member of the trekking team! However is still in his early days of trekking and needs a confident handle to show him the ropes still! Jamie is quite particular about his food (just like Jamie Oliver! ), and when out trekking, if he sees something that looks tasty, he stops so he can sample it. He is happy to share his food with the other llamas so that they can experience the fantastic taste of his food. He is health conscious and prefers not to have the added sugar in his feed. In the field you will find him with his best bud Rupert.